I missed this when you originally posted. Excellent stuff. Thanks, Prof. 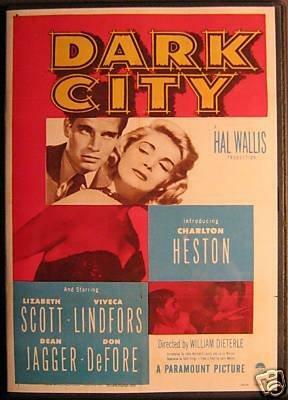 I originally sought out Dark City for Lizabeth Scott, but by the end of the film, I was really impressed with Heston. I didn’t expect that. Thanks for providing the link. Lizabeth Scott is one of the all-time great noir actresses and one of my great favourites.